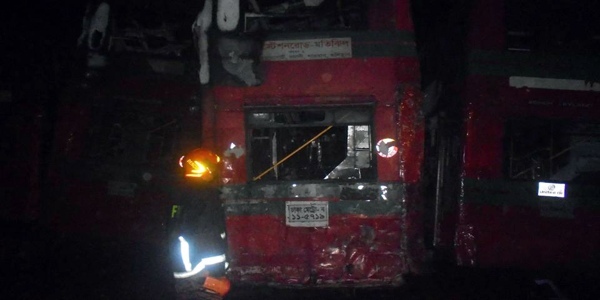 At least 15 buses of Bangladesh Road Transport Corporation (BRTC) were damaged as a fire broke out at a bus depot of BRTC at the Joar Sahara center in Khilkhet area of Dhaka early today. 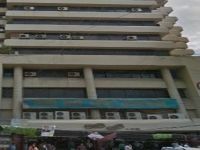 The incident took place at the depot near Airport Road in the early hours of Saturday, just one week before Eid-ul-Fitr. Mohammad Moniruzzaman, manager of Joar Sahara depot of BRTC, told the media that the fire erupted around 1:30 am on Saturday while the workers were working on the night shift. The blaze was reported and several fire service units were dispatched to fight the blaze but could not begin to douse the fire immediately due to a lack of water, he said. Later the blaze was brought under control using the water from another pump near the depot. 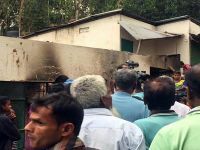 On information, six units of firefighters from Uttara, Kurmitola and Baridhara fire service stations rushed to the spot and doused the fire after an hour-long effort, the fire service official added. 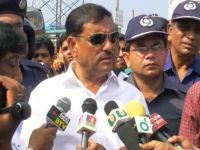 Of the damaged buses, eight were out of order previously, Road Transport and Bridges Minister Obaidul Quader told reporters at a preparatory meeting on upcoming EID at Bangladesh Road Transport Authority (BRTA) headquarters in Dhaka. The minister also instructed the concerned authorities to conduct a probe into the incident. 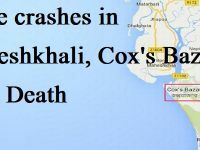 Road Transport and Highways Division Secretary Md Nazrul Islam, BRTC Chairman Farid Ahmed Bhuiyan and other officials have visited the spot after the incident. Secretary Md Nazrul Islam told the media that a probe team, led by additional secretary, has been formed to investigate the incident. “The origin of the fire could not be identified immediately. The people who were present on the spot could not say what started the fire,” Islam said. But the fire service says an initial investigation suggests the fire may have been caused by a short circuit in one of the vehicles.